Here is a little secret about my blogging style – the vast majority of my posts I write first, then decide what to title it. On a few occasions I come up with the title before I have written the post. Today is one of those days. I came close to waiting until I was finished, but I know what I want to right about – and it is the heart of the matter. The heart – known poetically as the source of love and it is essential to our survival. Diet and exercise can improve its ability or deteriorate it, depending on how we eat and if we exercise. Sometimes heart disease happens regardless of what one does to stay healthy. In fitness I frequently refer to my heart rate training and how I monitor it for various goals in my workout. Today was a day that started with my training and monitoring of my heart rate. My run this morning was to warm up for a mile and then run a minute fast to get up into my anaerobic threshold zone (over 158 beats per minute) and recover for a minute – repeat ten times. The first four I ran with the treadmill flat, no incline, and I set the pace at 7.0 miles per hour (about 8:30 minutes a mile). The highest I got my heart rate was 153, then I increased the incline to 2% for the next three repeats – my heart rate increased a bit more maxing at 157, just shy of my goal. So for the next three I increased the incline to 4% and I hit 160. For the last two I lowered the pace to 6.9. My legs felt good buy my lungs and heart were feeling the push. After the last repeat I jogged out a half mile. Through out the day I could feel the workout effects in my lungs – a sign that my hard workout pushed my limits. Usually I run on the treadmills at my gym, but today I ran at home. The reason being is also a matter of the heart. This time my dog’s. 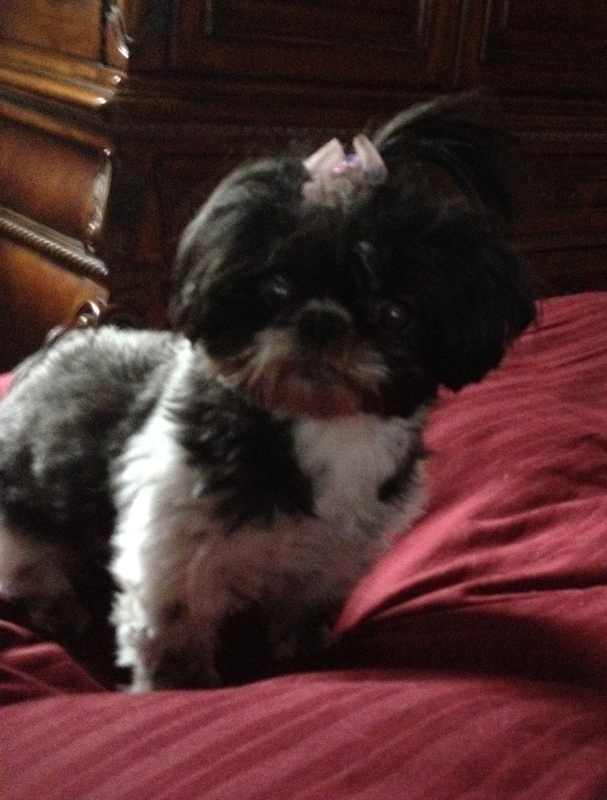 I had to take my ten year old shih tzu Phoebe to a cardiologist in Akron. The poor pup already is blind. Now she had to get checked out because earlier tests showed a heart murmur and a slightly enlarged heart. My brave little girl did very well during her electrocardiogram. It is amazing how advanced the treatment has become for animals today. The diagnosis – endocardiosis. It is the most common heart disease in small dogs. Fortunately she is treatable with medication and should be able to live quite a few more years. She is a sweet little pup and I was happy to hear she is treatable. I was also glad to know that there really is nothing that could have been done to prevent it. As an owner, I was questioning if I could have done something different to have avoided this. Matters of the heart vary from fitness to disease to love. Today encompassed all three for me. My day started with my ongoing efforts to improve my heart as I improve my fitness. The day continued with caring for my pup and addressing her disease. I adore my little gal and want the best for her. It breaks my heart that she may be hurting. Now I know what needs to be done and I have her medicine ready to treat her. Any dog owner will agree, dogs offer such unconditional love. Phoebe wakes up every morning and pounces on me with kisses. Such a wonderful way to start the day. Even a dog understands the meaning of seizing the day. And that just thrills my heart. Phoebe the morning of her tenth birthday. Phoebe is ADORABLE!! Great post. Thank you Jill. She sure is a great pup. Thank you! She seemed to be quite content today!